During June 2018, the team of the Sound and Materialism in the 19th Century —Edward Gillin, Melle Kromhout, David Trippett and myself—travelled from Cambridge to Paris and back again. For me boarding the train to Paris marked more than a year of reflecting, planning and close work with colleagues at the University of Cambridge and in Paris. We had organized a pair of sister conferences—two distinct-if-joined events happening in the space of two weeks in two countries—through which we hoped a critical dialogue on the state and modes of researching sonic materiality and sensing could flourish. Each research event was unique, shaped by particular research questions, communication formats, and assemblages of scholars and audiences. The events were joined especially through the collaborative efforts of a core group of international scholars working on sonic histories, theories and arts from different disciplinary and cultural perspectives. These researchers travelled with us between both sites and played multiple roles in the course of events: they crafted different presentations that fit to the formats of the respective conferences; they participated in round table discussions; and they acted as respondents. Such contributions helped this proposed endeavour of sound exchange to come to fruition. The first stop was The Audible Spectrum: Sound Studies, Cultures of Listening and Sound Art, an international conference hosted by the Cité de la Musique-Philharmonie of Paris and the Université Paris 8 / LabEx H2H research project on 7-9 June 2018. This event was convened by Stéphane Roth and Marion Platevoet (Cité de la musique-Philharmonie de Paris), Matthieu Saladin (Université Paris 8 / LabEx H2H) and Bastien Gallet (Haute École des Arts du Rhin). This conference looked at the changing definitions of the audible since the 19th century, from mainly North American and European perspectives. Its scope was both broad and deep. It proposed ‘to decompose the spectrum covered by the audible, by analysing and discussing the modalities of its appearance and acceptance, its social functions and multiple cultural definitions’ (see conference programme). This topic was pursued through keynotes, academic papers, round tables and concerts given by leading scholars in the field of Sound Studies. It included different disciplinary contributions from Anthropology, Deaf and Disabilities Studies, Ethnomusicology, History and Philosophy of Science, Technology and Medicine, Media studies, Musicology, Voice Studies. The talks were organised along five main lines: vibrations and sonic materialism; deaf culture and agency; the multiple voices of gender; media noise and the capture of attention; the sonic exercise of power. 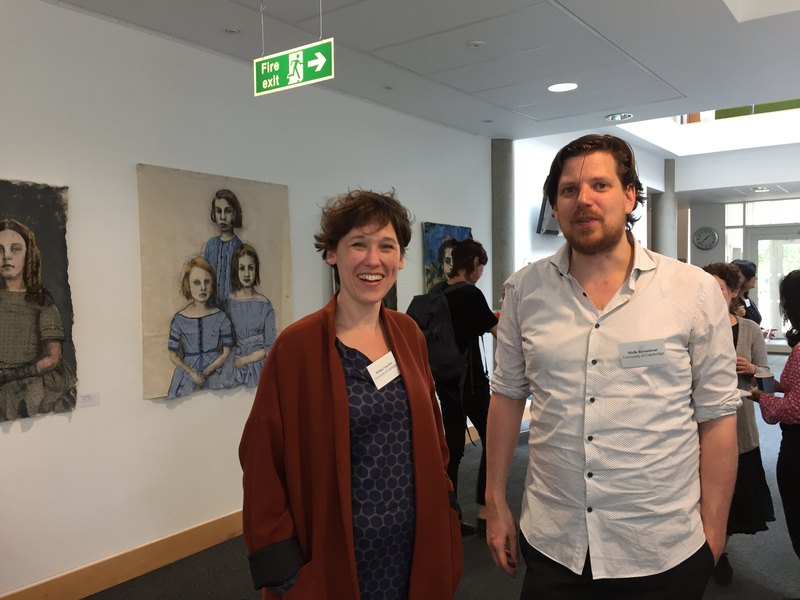 The next stop was the Sensing the Sonic: Histories of Hearing Differently (1800-now) international conference held on the 15-16 June 2018 at the Centre for Research in the Arts, Humanities and Social Sciences (CRASSH) at the University of Cambridge. As co-convenor with Melle Kromhout of this event, I was particularly engaged in its happenings. The event took place under the auspices of the ERC project Sound and Materialism in the 19th Century (PI: David Trippett), and its initial proposition had emerged from my work conducted as part of this research team. The audio excerpts of the Sensing the sonic conference have been made available thanks to the work of Myles Eastwood of Eastwood Recordings. As a complement to these audio files, I offer some brief impressions of the research exchanges in the subsequent blog post: Of the possible material and sensorial effects of hearing.